Acer India has launched its new Windows Mixed Reality headset OJO 500 that features a one-of-a-kind detachable design to offer flexibility, comfort, and hygiene for consumers and businesses. Priced at Rs. 39,999, the new headset will be available from February, 2019. 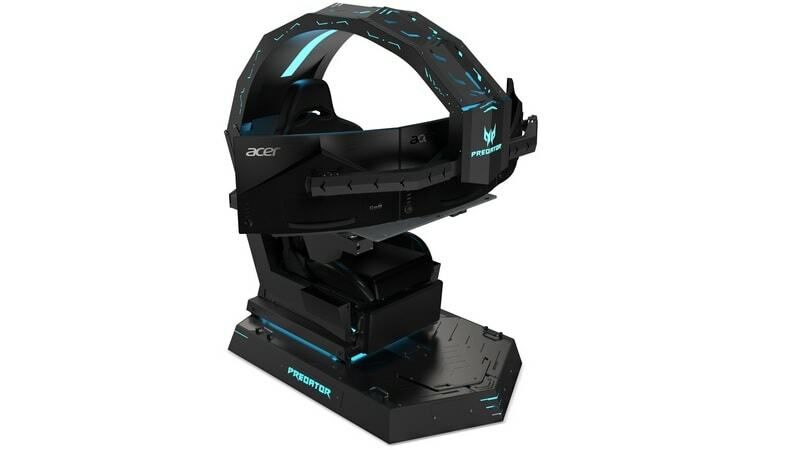 Separately, the company also launched its top-end gaming chair in India, the Acer Predator Thronos – it is now available for pre-orders in India, with pricing requests open for the various configurations. “The Acer OJO 500 is packed with several new significant features to add to this class of Windows Mixed Reality headsets,” Chandrahas Panigrahi, CMO and Consumer Business Head, Acer India, said in a statement on Saturday. “We have tried to enhance the user experience with innovative audio and visual technologies and have brought to our consumers the most comfortable and easier than ever to use headset,” Panigrahi said. As a Windows Mixed Reality headset, there are currently more than 2,500 games and applications available for the Acer OJO 500 between the Steam VR and the Microsoft Store platforms. The company recently also launched its Predator Thronos top-end gaming chair in India. As we mentioned, it’s currently up for pre-orders in the country. It was launched back at IFA 2018. It is 1.5 metres tall, has space for a Predator gaming PC, supports up to three 27-inch curved monitors, and bears a motorised recliner to recline the chair to up to 140 degrees.